Tomb Raider game - an action-adventure and the reboot of the famous series - was released at the beginning of spring in 2013, but for that time only for the current generation of consoles and PC. Now it's November, and the next-gen consoles are ready to hit the stores. And what about Lara Croft? Well, according to the latest rumors Lara Croft will also return to fans and owners of the new consoles. Thus, yesterday Amazon Italy listed Tomb Raider: Definitive Edition that will be released for PlayStation 4 and the undisclosed platform. The second one looks pretty like Xbox One, however, we don't have any proof. According to the description on the Amazon's site this edition of the game will include Tomb Raider (PS4 or Xbox One version) and all previously released DLCs. Moreover, the Tomb Raider: Definitive Edition release date is rather close - it is scheduled for the 24th of January, 2014. The price of Definite Edition is €59.99. But it seems that Amazon has revealed a big secret, and the developers have already taken arrangements. Now there is no such page on the Amazon's site, but we still have a hope. 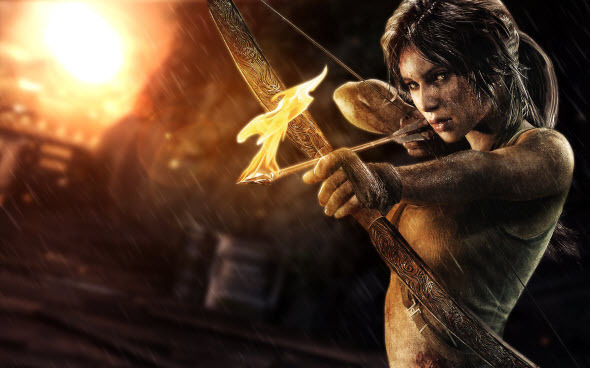 By the way, are you waiting for the Tomb Raider PS4 and Xbox One versions? Would you like to buy one of them? Write your opinion in the comments below.